Super Mario Odyssey is the latest entry in what is arguably the most iconic video game series of all time. Nintendo chose to go back to Mario's three dimensional roots instead of the linear, level based game style we saw with the 3DS's Super Mario 3D Land and the Wii U's Super Mario 3D World. 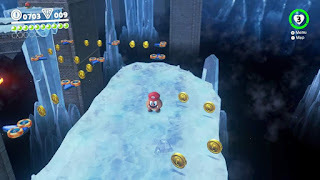 Instead of just giving us a rehash of Super Mario 64 with a new take on Princess Peach's castle, or returning to the Super Mario Galaxy series, it chose to incorporate open world elements and give us a choice of paths to take. 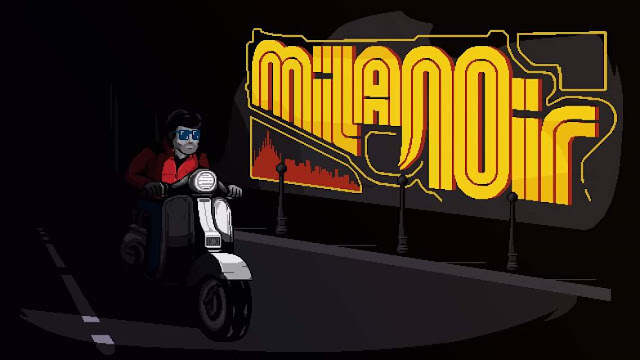 This offered a fresh take on the series, and further breathed new life into what we could have expected by incorporating a possession mechanic that has been painfully under-utilized, as I pointed out in my review for Avenging Spirit, and something not seen since the Nintendo co-developed and published title Geist for the Nintendo GameCube. 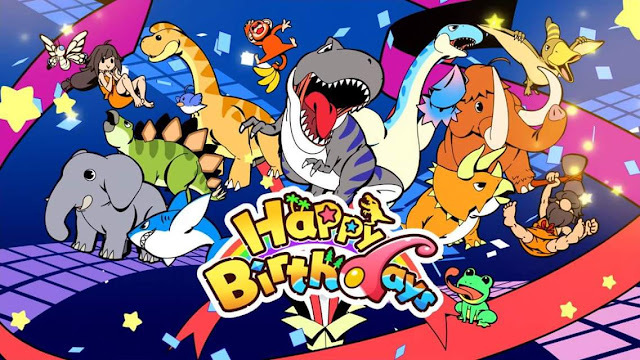 Super Mario Odyssey looks amazing. This is the most detailed that Mario himself has ever been. All of the worlds have vibrant colors, excellent level design, and a generous layer of charm that Nintendo paints on all of its games. The Mario form of each and every creature he possesses is utterly adorable, and I sometimes found myself possessing nearby enemies just to appreciate the care Nintendo took incorporating Mario's iconic hat and mustache into the designs of so many of the series' venerable rogue's gallery. In addition, we are also treated to many new faces that have been created to fit the needs of this magnificent world that we are left to explore. The story is pretty standard as far as Mario games goes- Bowser has kidnapped Princess Peach to force a marriage on her, and Mario is out to save the day once again. 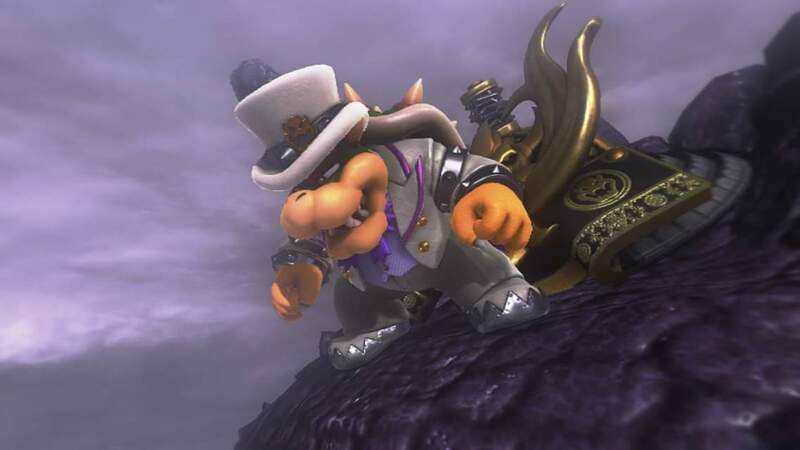 A nice addition to this familiar setup, though, is that Bowser has sent out a group of rabbits (Broodals) to collect various accessories to be used during the wedding, each of which are the prized possessions of the different worlds we are tasked with discovering and steering our way through. Mario attempts to stop Bowser at the beginning of the game, and is initially defeated and thrown off of Bowser's airship into the cap kingdom below. 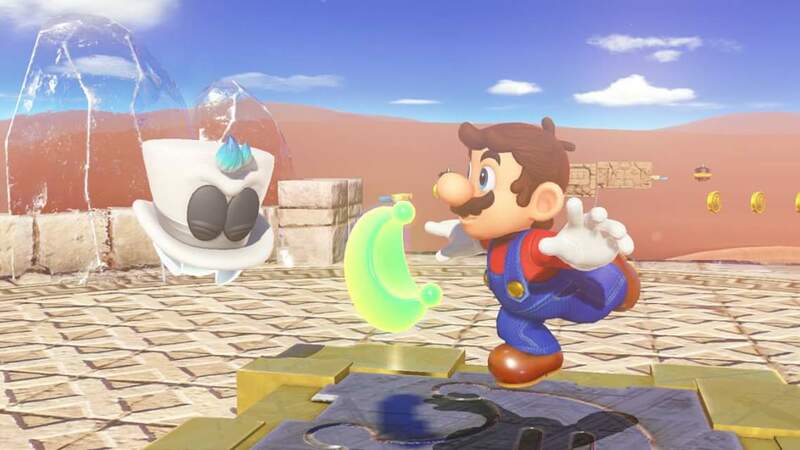 It is here that Mario meets Cappy, a spirit that becomes Mario's hat and accompanies Mario on his journey to recover Peach, and that has a power that enables him to capture the enemies for Mario to use to his advantage. 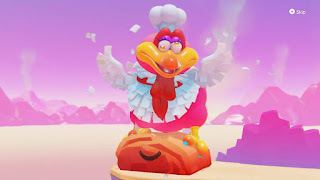 Cappy feels like the real star of this game, however, as he is the means by which we get to pull off most of our coolest moves. He possesses the enemies, collects coins when thrown, acts as a mobile platform, and more. If you want to have a friend join in, the second player can play as Cappy. Most of the cool things that Cappy can do, however, are tied to the motion controls. This puts handheld mode players at a disadvantage during certain situations, but isn't enough to fully detract from the game as a whole. You will need to utilize motion controls to obtain certain moons in the game, but it is easy enough to swap from handheld mode to table top mode. Much like with The Legend of Zelda: Breath of the Wild, you can finish the game relatively quickly. Well, Zelda probably requires at least 20 or so hours of time investment if you just complete the Grand Plateau, defeat the four divine beasts, and then head to Ganon. 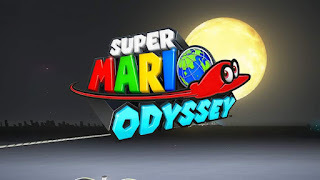 Super Mario Odyssey can be completed in just about twelve, and those dozen hours will fly right on by due to all of the pure enjoyment you will get out of every minute of those. 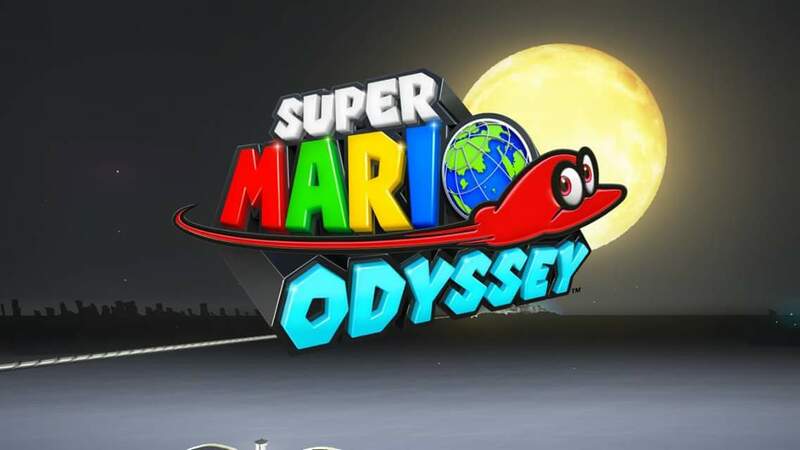 You'll only get through the "main" game that way if you take off in the Odyssey every time that you have just enough moons to move on to the next world. Of course, most of the fun, and challenge, in the game is hunting down and earning those power moons, which makes for a lot of post game content. Nintendo also gave us long time fans some nice bits of fan service in the form of warp pipes that turn us into a pixelated Mario running through some sidescrolling platforms. It's a nice added bit of charm. To go along with Nintendo's new emphasis on making family friendly games for every member of the family, like Mario Kart 8 Deluxe, Super Mario Odyssey also has an assist mode that directs a player where to go to progress through the levels. Plus, the aforementioned ability to hand off a second controller to a friend or family member to control Cappy. The game does everything right that it possibly could have for me, who had lapsed as 3d Mario fan since Super Mario 64, and Super Mario Odyssey does and amazing job of bringing newcomers into the fold, and reminding them why Nintendo was top dog.